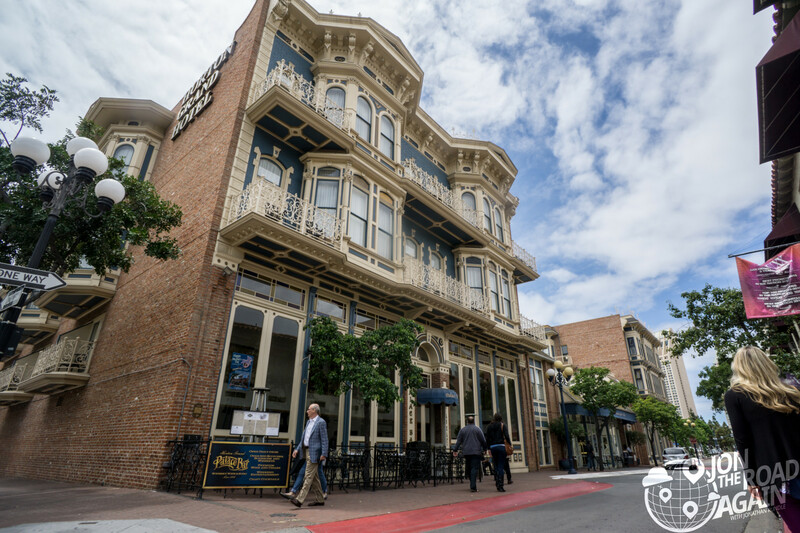 Retracing the steps of the early developers of San Diego, the Gaslamp Quarter Historical Foundation hosts a Gaslamp Quarter Walking Tour through San Diego’s hippest part of town. But it wasn’t always filled with restaurants and bistros – no, seedier things were afoot back in the late 19th century. 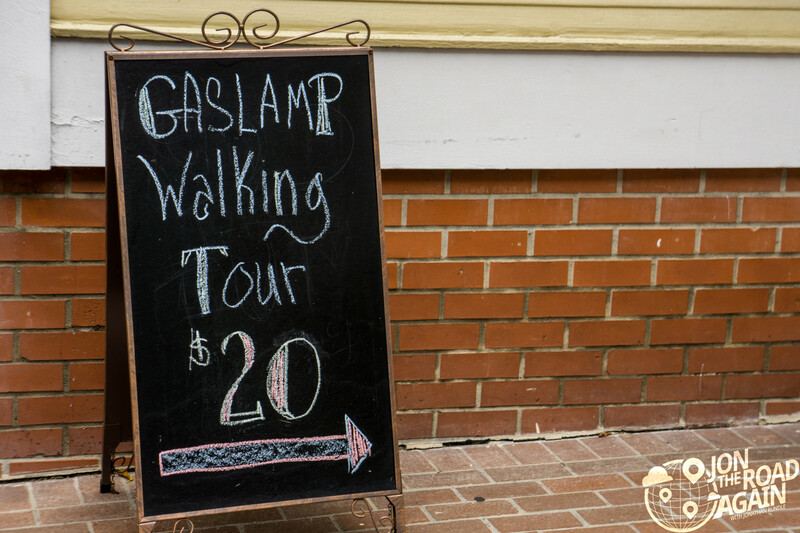 The Gaslamp Quarter Walking Tour begins at the Davis-Horton house, which is the oldest surviving structure of the Gaslamp. The tour will also conclude here. It is after the tour that you get to explore the home. The Yuma Building is one such interesting structure. 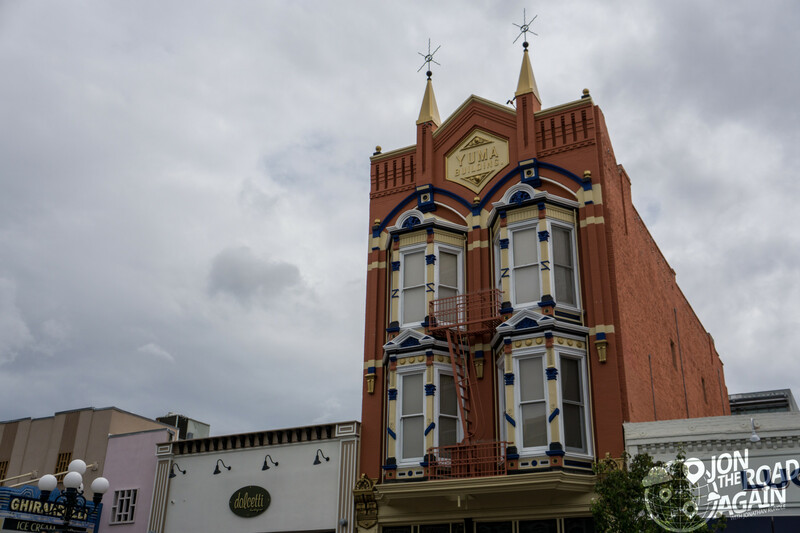 Built in 1882 it is named Yuma because of the builder’s connection to Arizona. It was the first brick structure and the first building to be closed down when this area of town was “cleaned up.” And by “cleaned up” I mean they closed the brothels. Boo. Looking to a newer structure, someone has painted the old Victorian facade onto the stuccoed exterior of a building built in the 1950’s. Such a shame it was covered in the first place, really. On to the Hard Rock Cafe where we see the final resting place of a fantastic stained glass dome. 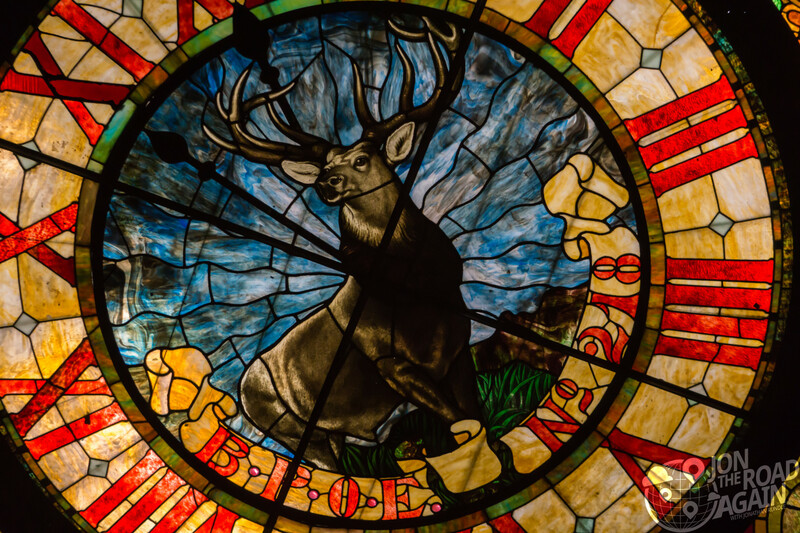 This dome was intended for an Elks lodge in Stockton, CA, but a large earthquake at the turn of the century scared off that plan. So, it came to San Diego and, yada yada yada, it’s in the Hard Rock Cafe. A curious situation with this building. 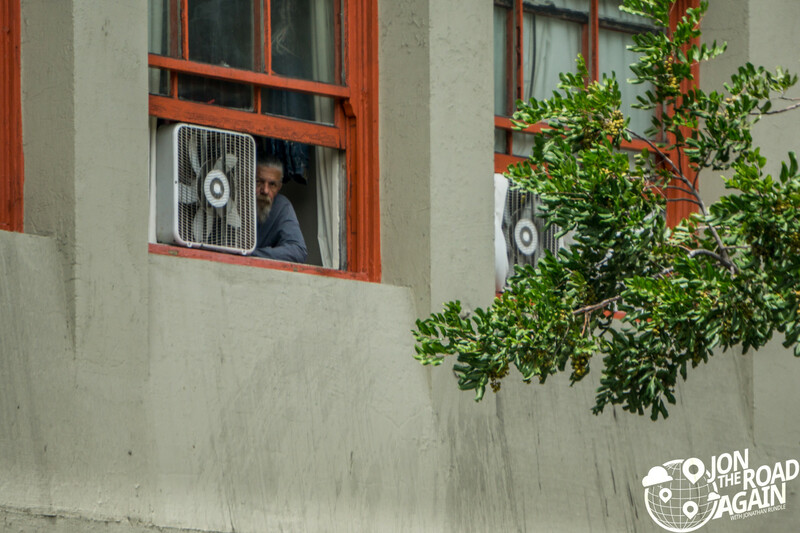 Notice the little balconies at every window except the top right window? Rumor has it that balcony fell off the ship when the materials were making their way around Cape Horn so they decided to finish the building without it. So typical of general contractors, isn’t it? 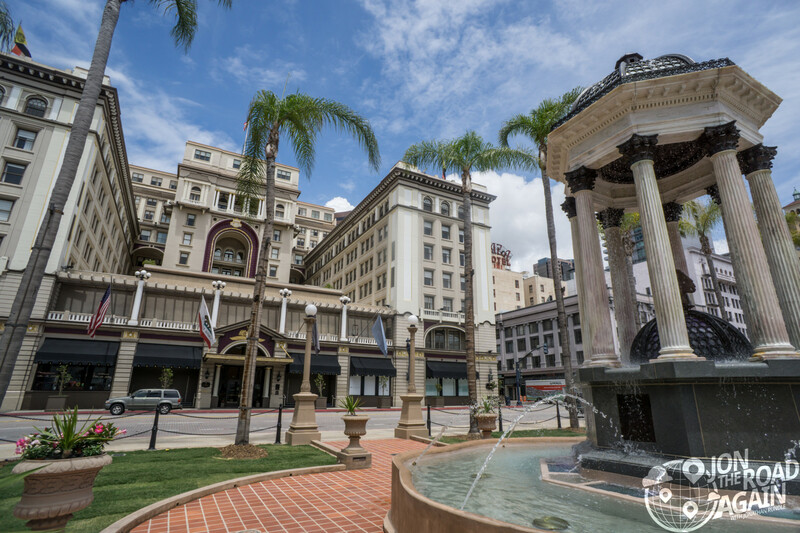 The piece de resistance of the Gaslamp Quarter Walking Tour is the Horton Grand Hotel. 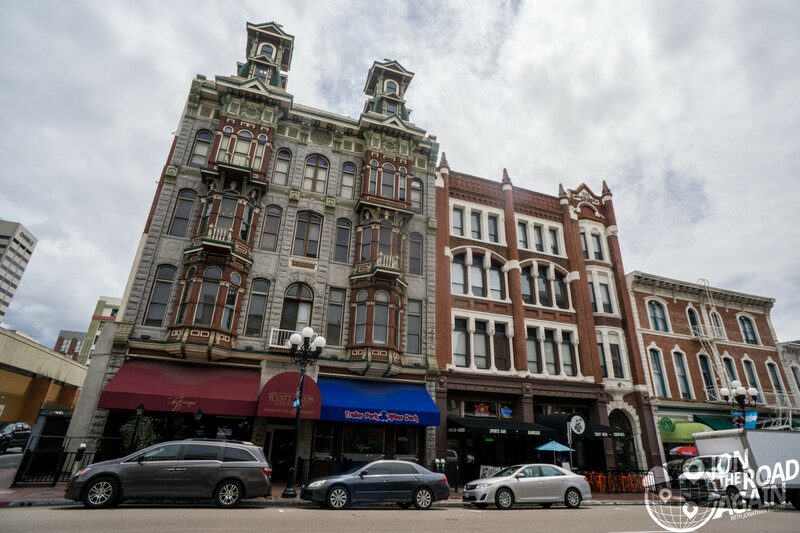 The Horton Grand is San Diego’s oldest Victorian hotel (1886). At one time, it was slated for demolition along with a neighboring hotel. Thankfully, it was decided to preserve both by disassembling them and moving them to their present location. 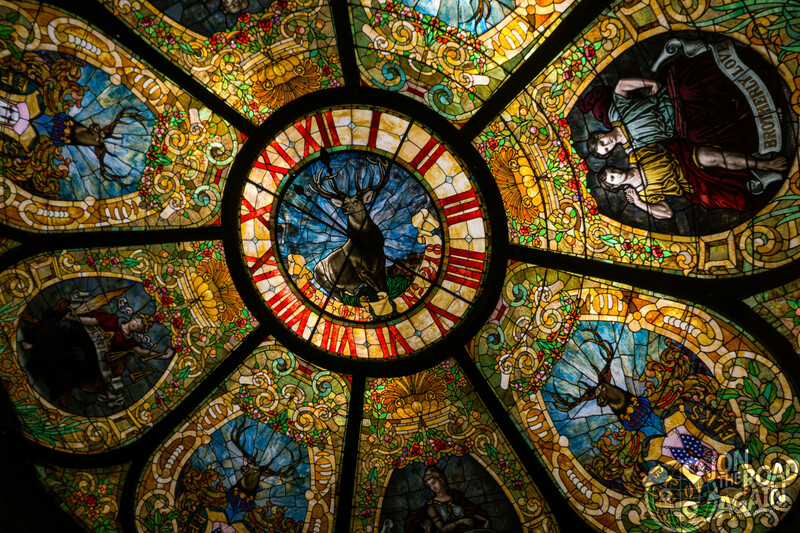 The two buildings were joined by a glass atrium and restored to their former glory. They reopened in 1986. The US Grant Hotel has been around since 1910. 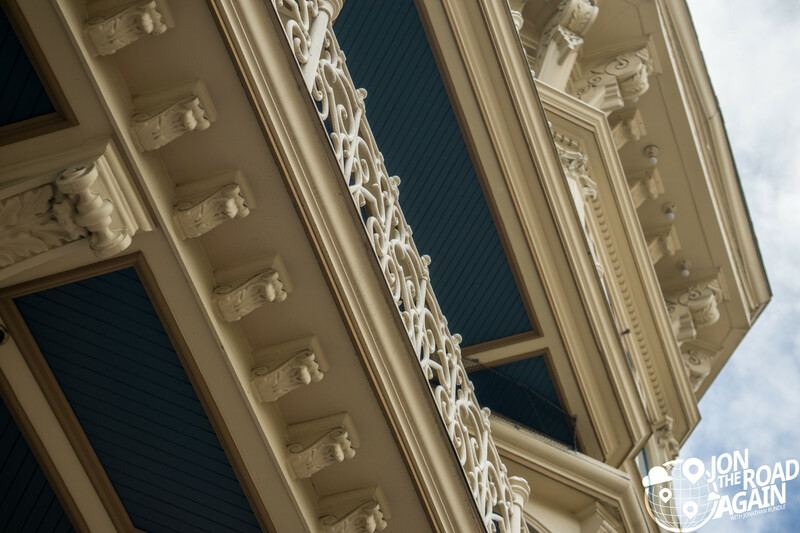 A major downtown luxury hotel, the US Grant was built by the former president’s son. 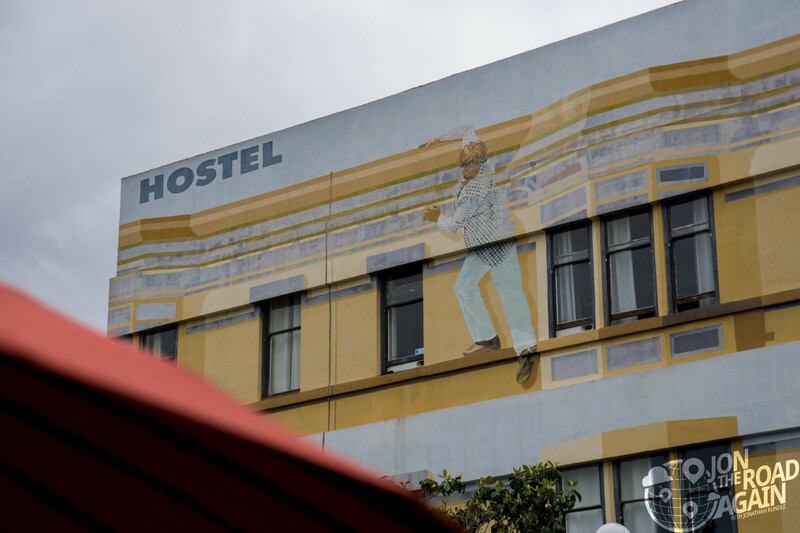 In the 80’s, the hotel hit a rough patch. In 2003 it was bought by the Kumeyaay Nation (thanks, Wikipedia) who closed it down for nearly two years in order to fully renovate it. 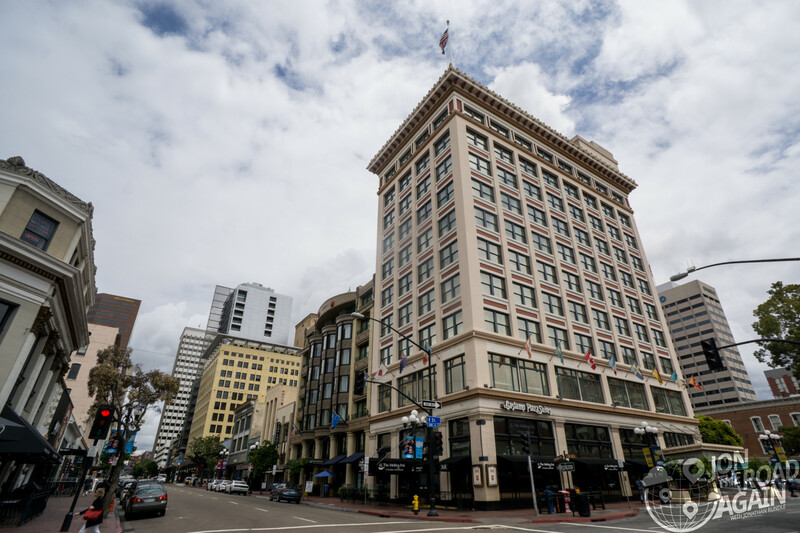 Trivia time: the hotel was the site of the very first San Diego Comic-Con. In addition, it has hosted many famous guests and even twelve Presidents. Finally we have the old Golden West Hotel. The Golden West was designed by Frank Lloyd Wright’s son John and built in 1913. The building is an interesting one if not a little brutal. On the inside the hotel is now a place for shady old men to hang out. I got a definite Blues Brothers vibe from the place. Joliet Jake would’ve fit right in and avoided detection from SCMODS. The tour takes 90 minutes and includes the Davis-Horton House (which I didn’t find that interesting). $20 adults; $15 seniors, active military; $10 students, free age 7 and under. Reservations are suggested. Is it worth $20 and an hour of your time? Yes, definitely! Get to know the area by walking and hearing the history you (probably) never would have known otherwise.